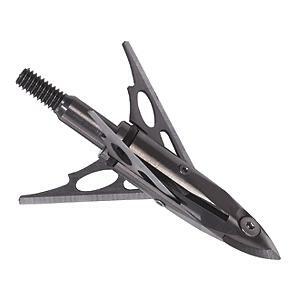 Broadhead features. 030 stainless steel blades, stainless steel instant cut tip, HexFlat design for stable flight and are machined from aircraft quality aluminum. Includes free practice head and has a 1. 5 inch cutting diameter. 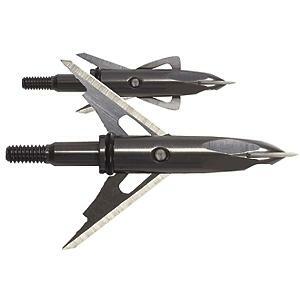 Broadhead features. 035 stainless steel blades, stainless steel instant cut tip, HexFlat design for stable flight and are machined from aircraft quality aluminum. 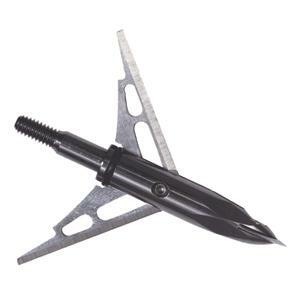 Includes free practice head and has a 2 inch cutting diameter. Replacement blade kit contains 3 tip blades and 6 main blades.